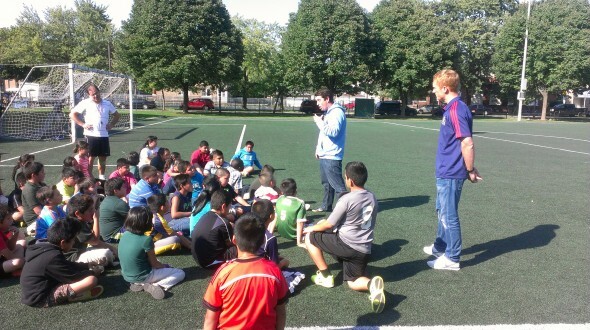 During the first week of the Work to Play program both Libby and Daley soccer players were surprised by a visit from Chicago Fire Captain Jeff Larentowicz. 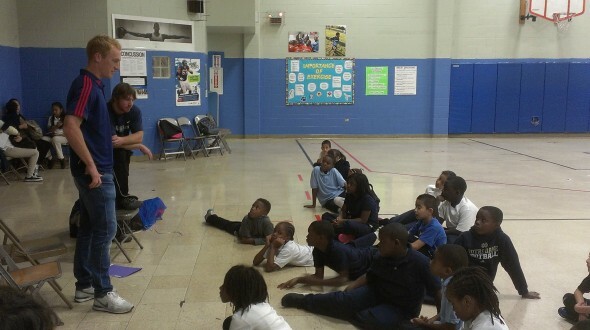 His first stop was Daley Elementary in the Back of the Yards community. The Captain and UI Executive Director, Jim Dower, toured the practice field at Cornell Square Park and witnessed Coach J’s famous warm-up routine. 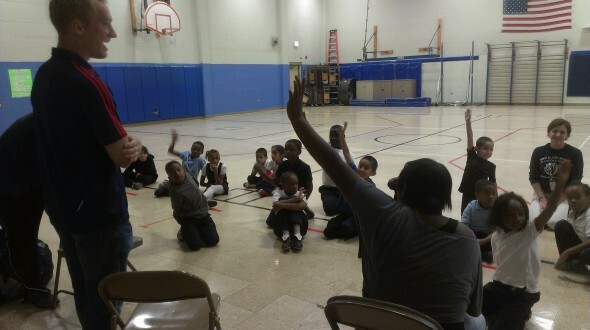 From there, the Captain hopped over Ashland Avenue to Sherman Park and Libby Elementary in the New City community for their 1st practice of the year. After Coach T introduced the program to the new members of the team, he gave the floor to the Captain. 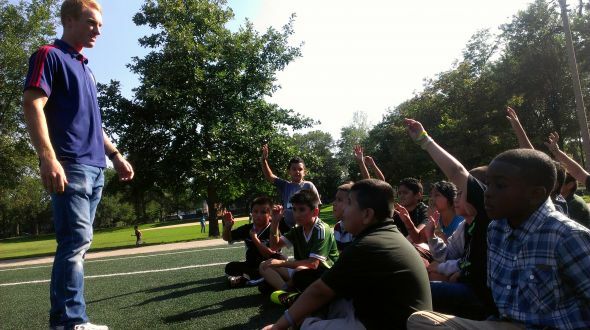 The Libby players sat wide-eyed as Larentowicz talked about leadership and soccer. The Captain’s words of wisdom helped set the tone for the new Work to Play season. Soccer players were able to hear first hand the keys to be successful student athletes. Urban Initiatives would like to thank the Captain, Jeff Larentowicz for being an inspiration to the Daley and Libby kids!